Chia seeds are chock full of healthy nutritious ingredients including; omega 3 fatty acids, fibre, antioxidants, and calcium. 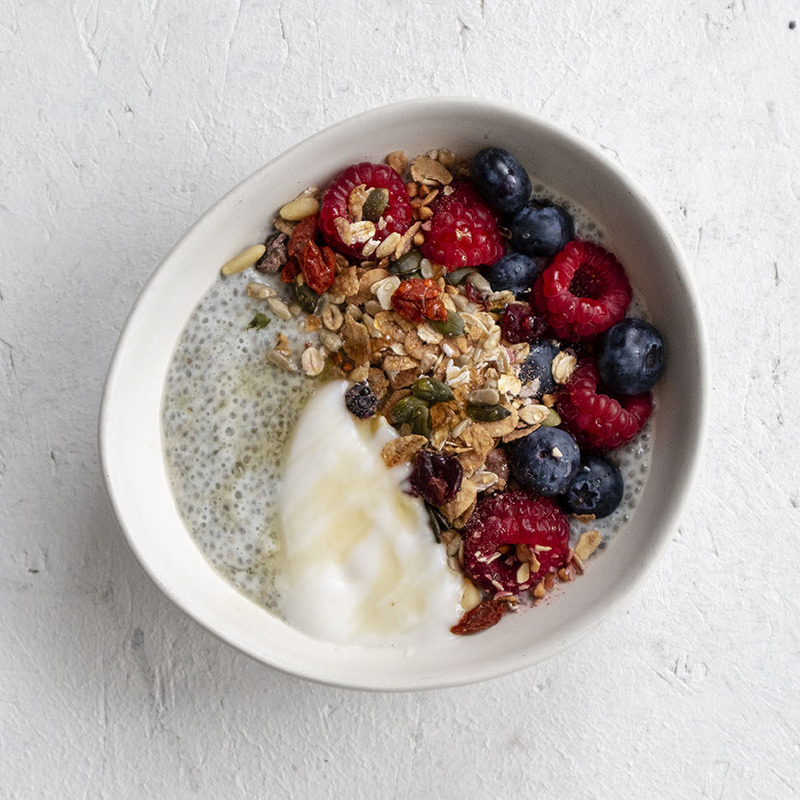 Enjoyed with Spoon Berry Fix Muesli muesli, and topped up with extra seeds, nut butters and fresh fruit this breakfast bowl recipe will give you something to jump out of bed for. Personal trainer approved and fully vegan, this breakfast bowl makes a great breakfast or snack, and is great for pre-workout energy or post-workout cravings. In a bowl, combine all the ingredients except toppings and stir until well mixed. Just before serving, place the chia mixture into a small bowl and top the remaining ingredients. Grab a spoon and dig in!